Established in 2005, MalagaVet is a small animal Veterinary Hospital located opposite McDonald's in Malaga. The practice is just near the intersection of Alexander Drive and Beach Road in Perth, Western Australia. MalagaVet is open 6 days a week for your convenience. 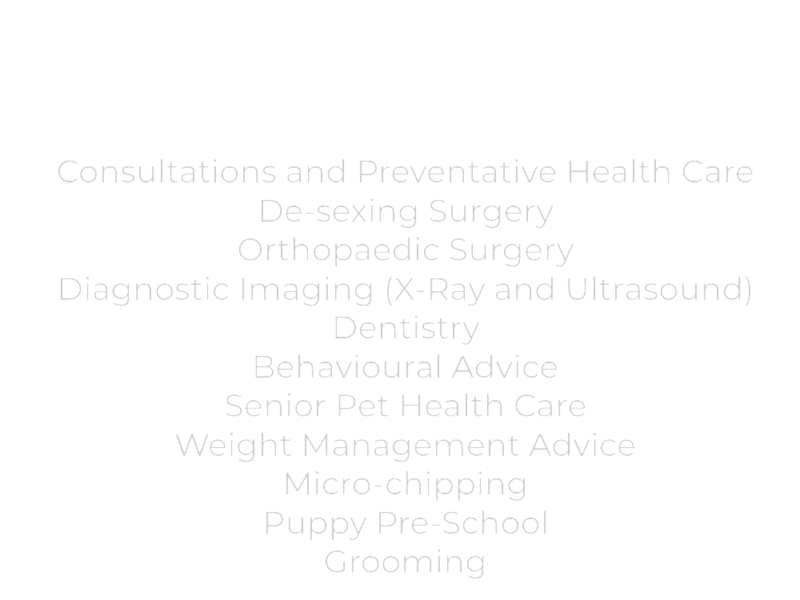 We understand that your pets are members of your family and that their wellbeing and health is of great concern to you as their human caretaker. We are ALWAYS happy to address ANY queries you may have either over the phone, or in person. No problem (or creature!) is to great or small for us to help you with. Please take a few moments to browse our website and learn more about the hospital, our services, staff, hours and location. Make sure you have a look at our Special Offers page to see what is happening right now at MalagaVet. Special Offers change seasonally so make sure you check it regularly for new deals. Click below to like our page and follow hospital happenings on FaceBook. We provide up to date information about the best in health care for all your pets, great and small. We extend the invitation for you and your pets to come in and have a look around at any time, we hope to see you soon!